This brand new Grace Glass Beaker is an unique piece of ar that has a 3D snake printed on it which does not only look good but also gives you a better grip on the bong. It is 32cm in height and the glass itself is 7mm thick. 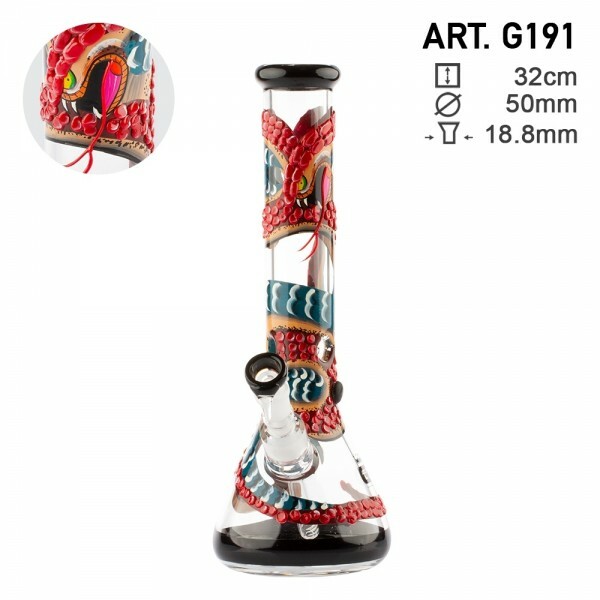 The bong is made of a high quality heat proof borosilicate glass, formed in the shape of a beaker. It also comes with some ice noches that can keep some cubes for cooling your smoke.